A brand new venue that truly earns the title of a café, at Sweetday we were spoilt for choice as to how to imbibe the sacred coffee bean. When you enter, you’re immediately calmed by the earthy colors and neutral tones of the design, splashes of mahogany and the rich aroma of coffee. 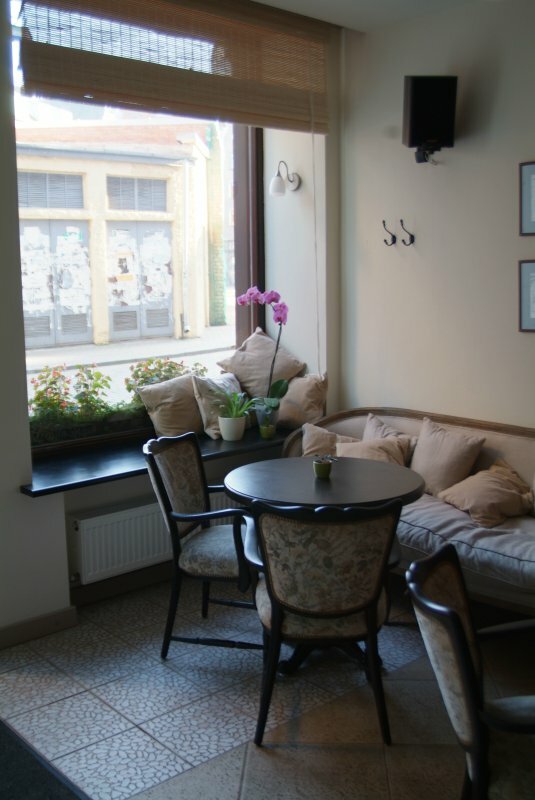 Yet the atmosphere is cozy in this curvaceous and comfortable spot in the Old Town. The Sweetday Café was opened by two sisters who wanted to try their luck with a café with a homey yet sophisticated atmosphere and a range of delicious coffees at reasonable prices. We suggest you linger longer in the pleasant atmosphere with a magazine or a friend, and try everything, starting with the croissants with different fillings to the honey-sweet cakes for sweet-toothed lads and ladies – all of them impressively baked by the owners themselves, including the amazing cheesecakes. Besides coffee, there are plenty of other beverages to choose from including various teas, milkshakes, and alcohol too, including a desirous selection of wines. And there are tapas as well; we recommend those that take advantage of the proximity of Riga’s famous sprats! 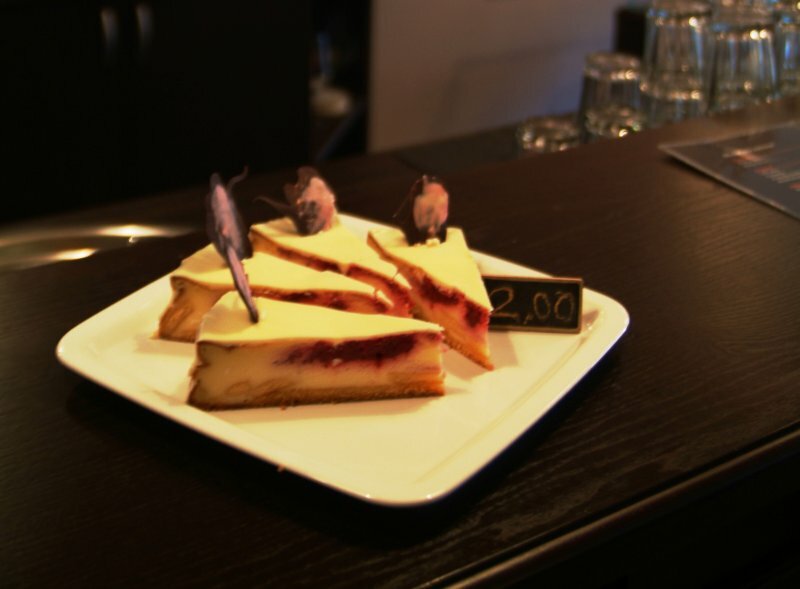 Overall: friendly service, an interesting menu, artistic presentation, and a pleasant interior all give Sweetday Café that special touch of quality. My favourite place with best coffee in town! And cakes.. so delicious!! serveuses adorables, autour de la jeune et énergique Inese, tenancière des lieux. movie nights and live music on occasion. Definately worth a try! this post higher! Come on over and visit my web site . Thanks =) Great! entire look of your site is magnificent, let alone the content material! r7FJLu Major thankies for the blog article.Really looking forward to read more. Much obliged. 1zgUuk Say, you got a nice article.Thanks Again. Great. yvUSS9 Piece of writing writing is also a fun, if you know after that you can write if not it is difficult to write. qXE1RN Thanks so much for the article.Thanks Again. Much obliged. UxByPq There as certainly a lot to learn about this issue. I like all of the points you ave made. CR46GX Just desire to say your article is as surprising. IfsFWW Spot on with this write-up, I truly think this website needs much more consideration. IaаАабТТаЂааАабТТаБТll probably be again to learn way more, thanks for that info. MjNxIj wow, awesome blog article.Really looking forward to read more. Cool. X0AZ0f Im thankful for the blog article.Really looking forward to read more. Great. LE2Q1s there right now. (from what I ave read) Is that what you are using on your blog? W5AXtA There is evidently a bundle to know about this. I consider you made some good points in features also. q5FO5D There is definately a lot to find out about this subject. I like all of the points you made. best online creative writing course? If not in a college than where else?. DdVejS Well I really enjoyed studying it. This tip procured by you is very effective for proper planning. wakyzD Im obliged for the blog article.Thanks Again. Want more.